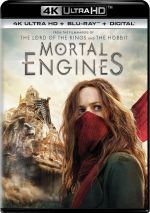 Based on the 2001 novel by Philip Reeve, 2018’s Mortal Engines takes us to a post-apocalyptic world more than 1000 years in the future. In this setting, large moving cities roam the landscape and devour smaller burgs. London acts as one of these renegade predator locations, and under the leadership of Lord Mayor Magnus Crome (Patrick Malahide), it devours a mining town called Salzhaken. Resident and fugitive Hester Shaw (Hera Hilmar) and apprentice historian Tom Natsworthy (Robert Sheehan) pair to rage against the machine and fight back. A scan of this film’s credits will spark recognition from Lord of the Rings fans. Director Christian Rivers did storyboards and visual effects design for those flicks, and Rings writers Peter Jackson, Fran Walsh and Philippa Boyens penned this screenplay. Throw in Hugo Weaving as one of the main characters and it’s like we’re back in Middle-Earth again! Alas, Engines doesn’t match up with the splendors of Jackson’s Tolkien adventures, as it becomes a disjointed, muddled adventure. Engines becomes Rivers’ debut as a feature director, and this seems like an awfully large project for a rookie. Granted, with decades in films, Rivers comes with lots of experience, but this still feels like too much for a first-time director to chew. Rivers doesn’t seem quite able to handle it all, and he favors style over substance. Perhaps it shouldn’t surprise that someone with a background in the visual side of filmmaking would do better in that realm, but this still becomes a weakness, as Engines fails to coalesce into a particular comprehensible narrative. Perhaps the problem resides less with Rivers’ directorial abilities and more with the script. The same Jackson/Boyens/Walsh trio who adapted Lord of the Rings does the duty here, and their script lacks a lot of inherent depth and movement. This means random scenes with characters that don’t boast a lot of motivation or much to interest the viewer. Most of the sequences and roles feel trite and predictable, so the film can’t do much with its participants or themes. It doesn’t help that Engines often feels like a mishmash of other post-apocalyptic tales. 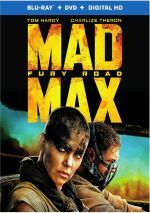 We get a lot of Mad Max and Waterworld along for the ride, as well as lifts from other cinematic enterprises. All of this adds up to a stilted and less than engaging attempt at an action-adventure. Engines bombed badly at the box office, and I can’t find fault in moviegoers’ choice to avoid this overdone dud. 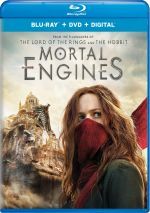 Mortal Engines appears in an aspect ratio of approximately 2.39:1 on this Blu-ray Disc. This became a largely strong image. In terms of palette, Engines favored a combination of teal and orange. Those choices came as no surprise, and the Blu-ray reproduced them in a satisfactory manner. I felt more consistently pleased with the excellent Dolby Atmos soundtrack of Engines. Downconverted to Dolby TrueHD 7.1, the soundscape offered frequent room for information to emanate from the various speakers. The mix featured the frequent mayhem well. The soundtrack delivered wall-to-wall auditory material that spread out across the speakers in a satisfying manner and that blended together nicely. Bass response added real depth and rocked my subwoofer. The movie’s soundtrack worked very well. A mix of extras appear here, and we open with an audio commentary from director Christian Rivers. He offers a running, screen-specific look at the source and its adaptation, story/characters, cast and performances, design choices, sets and locations, various effects, and connected domains. Given his background, it comes as no surprise that Rivers mostly discusses technical areas, but this does lead to a fairly dry chat. He touches on a nice array of subjects and offers a mix of useful details at times. Still, the commentary feels less than fascinating. While Rivers covers the production in a passable manner, this tends to be a mostly mediocre chat. A few featurettes follow, and End of the Ancients runs three minutes, 13 seconds. Narrated by the film’s “Tom Natsworthy” as he leads us through the “London Museum”. This offers a skewed far-in-the-future view of history. It becomes a good precursor to the movie, and it offers some amusement as well. Watch it before you view the film. Under Character Series, we get five clips with a total running time of 21 minutes, 43 seconds. Across these, we hear from Rivers, author Philip Reeve, co-writers Peter Jackson and Philippa Boyens, and actors Hera Hilmar, Robert Sheehan, Leila George, Jihae, Regé-Jean Page, Frankie Adams, Hugo Weaving, and Stephen Lang. As implied by the title, these segments discuss cast, characters and performances. They come with some decent details but they often seem glossy and superficial. With Welcome to London, we locate five more featurettes, and they fill a total of 26 minutes, 19 seconds. These involve notes from Rivers, Sheehan, Jackson, Boyens, Reeve, George, Weaving, Hilmar, art, concept and design artist Nick Keller, visual effects supervisor Ken McCaugh, previsualization supervisor Marco Spitoni, animation supervisor Dennis Yoo, production designer Dan Hennah, art director Brendan Heffernan, set decorating buyer Eliza Meldrum, soft furnishings assistant Hannah Webster, prop maker Tony Drawbridge, assistant art director Tane Griffin, costume props supervisor Ryan Atwood, director of photography Simon Raby, set dresser Aurelian Campbell, and actor Colin Salmon. “London” examines various design choices, pre-visualization, visual effects, sets and props. Some of this material veers toward the superficial, but the clips usually offer pretty good information. In the Air lasts four minutes, 52 seconds and features Hilmar, Jihae, Page, Jackson, Raby, Reeve, Keller, Hennah, and SFX supervisor Scott Harens. We get a view of the film’s airships in this short but informative reel. Finally, Film New Zealand spans three minutes, 52 seconds and offers info from Rivers, Raby, Weaving, Boyens, Jackson, Hilmar, Jihae, Lang, Salmon, Sheehan, and producers Amanda Walker and Deborah Forte. It’s little more than an advertisement. The disc opens with ads for Glass, Mary Queen of Scots, A Private War and Doom: Annihilation. No trailer for Engines appears here.